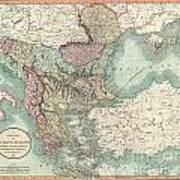 There are no comments for 1801 Cary Map Of Turkey In Europe Greece And The Balkan. Click here to post the first comment. 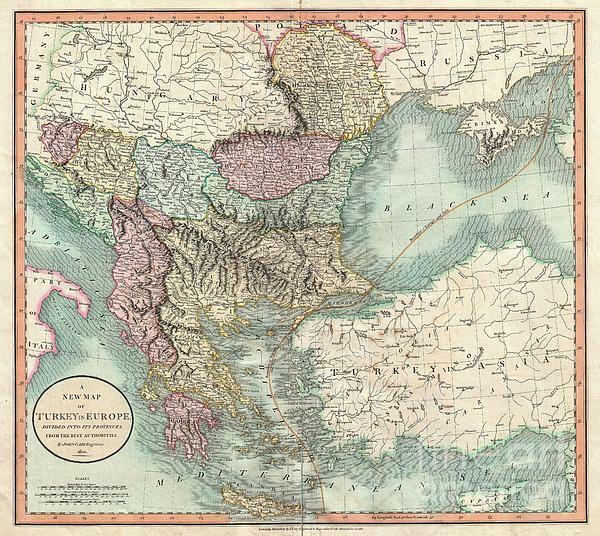 An exceptionally beautiful example of John Cary’s important 1801 map of Turkey in Europe. 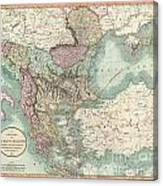 Covers from the Adriatic eastward to Crimea and Southwards as far as Crete and Cyprus. While technically a map of Ottoman holdings in Europe, this map is essentially a map of Greece and the Balkans. Includes the modern day countries of Turkey, Greece, Albania, Macedonia, Rumania, Bulgaria, Moldova, Serbia, Bosnia, Croatia and Montenegro. Notes the line of Division between Europe and Asia as it passes through the Black Sea and the Aegean. 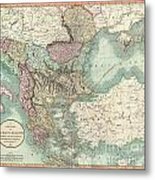 All in all, one of the most interesting and attractive atlas maps of Greece and the Balkans to appear in first years of the 19th century. 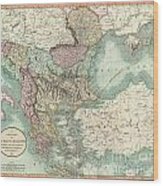 Prepared in 1801 by John Cary for issue in his magnificent 1808 New Universal Atlas .